The paradox of choice is never more apparent than when you’re in the shampoo and soap isle with a viscus ocean of names and qualities in front of you, but TotalBath Shampoo and Bodywash, by Dermarite Industries, makes your life a little easier by bringing the best product right to your computer screen. 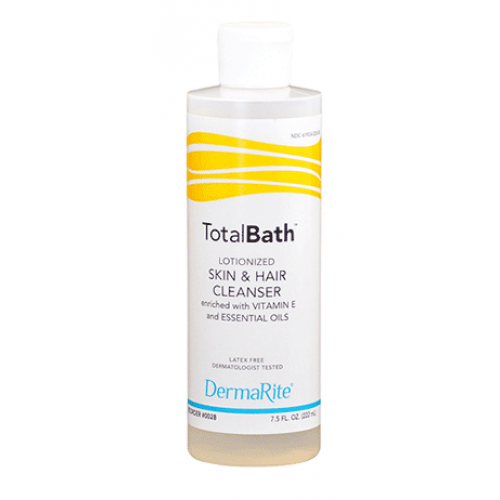 The choice is often difficult because skin care products have become specialty products, and each claims to fix this or help that; on the other hand, TotalBath specializes in cleaning your hair and skin while leaving you fresh but not dry. You’ve finally stumbled upon a lotion-infused cleanser for all types of skin and hair that provides a mild lather and rinses free without fuss to leave virtually zero soap scum or oily residue. 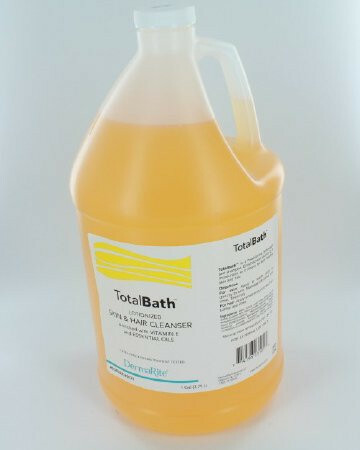 TotalBath is a mild shampoo and body wash for sensitive skin. The soap lathers up nicely and rinses out easily. We use the 7.5 ounce bottle for at the sink and the 1 gallon refill jugs for the dispensers in the shower. The skin feels soft and smooth after daily use. No yucky residue is left over so clean up is easy.